Whether you are serving roasted lamb, a baked ham, or a pork roast, there are numerous choices of wines to pair with your Easter dinner. Port Washingtonites are fortunate to have several excellent local wine stores, including Black Tie, Bottles, Main Street Wine & Spirits, Colonial Wine, and Port Washington Wines & Liquors. All provide both a great selection of wines, and helpful staff members who are happy to offer suggestions on food and wine pairings. Pork and lamb, like turkey, can be tricky to pair wines with since they don’t fall into the typical “red with beef, white with chicken” mold. We got some suggestions from the staff at Bottles Wines & Spirits for reasonably priced wines (in the $10 to $20 region) that will help make your Easter dinner a success. If you are serving lamb – Lamb pairs well with red Zinfandel, Australian Shiraz, or other red wines such as Cabernet Sauvignon or Merlot, as well as red blends. Red Zinfandel is a best bet, with its big fruity flavors and low tannins. Try Ed Meades Zinfandel, a big lush wine, or Castlebank Zinfandel, made from old vine grapes giving it less fruit but more concentrated flavor. If you are serving ham or a pork roast – Try a light red, such as a Pinot Noir, or a bright crisp white, such as a Sauvignon Blanc. Prefer red? Try 90+ Cellars Pinor Noir. The $20 wine is made from grapes sourced from vineyards that scored over a 90 in quality ratings for three vintage years in a row. Or try Fat Cat ($12), a soft, easy drinking red that will pair nicely with your dinner and has a label that cat lovers will adore. Prefer white? 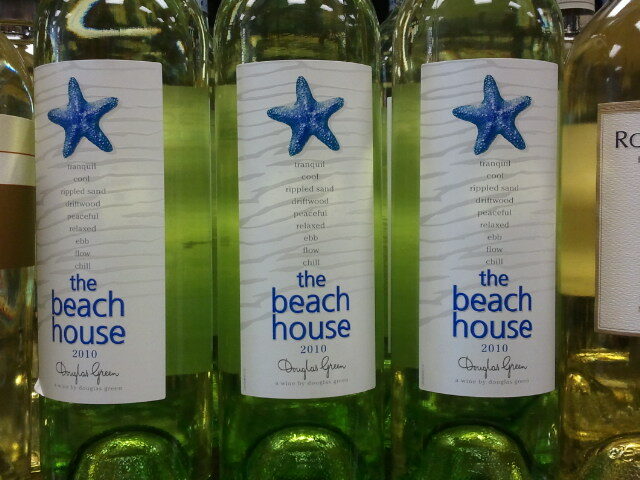 Try a New Zealand Sauvignon Blanc such as Wither Hills, Otto’s Constant Dream, or The Beach House. 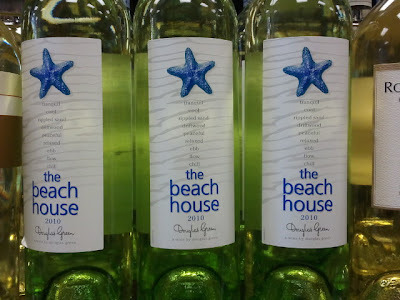 These wines are bright, fruity and crisp. Another suggestion for a white wine is Bogatell Grenacha Blanca, a minerally, crisp and dry wine. Since ham and pork really take on the flavor of what they are cooked in, try matching the wine to the type of sauce you are using on the main course – for example, pork with sautéed apples, or ham with an apricot glaze, would pair well with aromatic fruit-driven wines such as Viognier or Riesling. Or consider matching the wine to the side dishes as an alternative (similar to what we do on Thanksgiving). If you are a guest – Assume that the host has already picked wine for the meal, so bring something that you love, a wine that you’d want friends to try. Or, go totally different, and while the children are enjoying their chocolate bunnies, the adults can enjoy their chocolate liquor. Try a bottle of Godiva Chocolate Liquor for an unusual hostess gift. With the variety of wines and cheeses out in the market, you have all that you need to have a holiday present that's sure to please those on the receiving end. It is really up to you how you can make your wine and cheese baskets stand out from the ordinary gifts and giveaways. I recommend Wine Refrigerator as an important aspect to have if you are a true wine lover and has ample wine bottles.